Greetings. 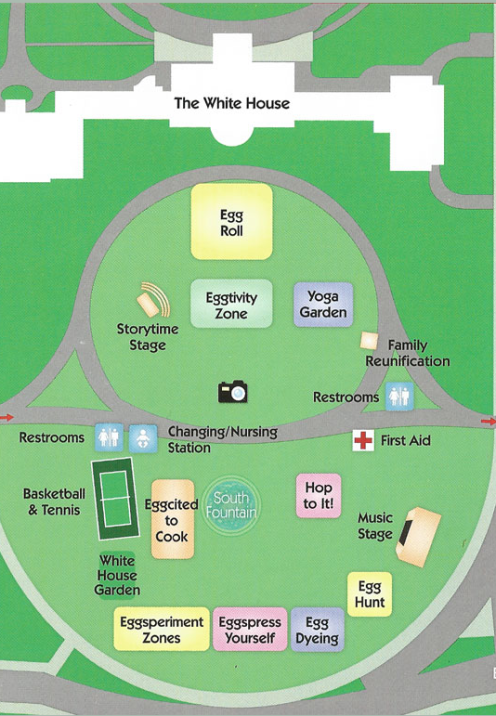 Today I’d like to take you to Washington, DC for a look at the White House Easter Egg Roll. Did you know that for the past 138 years the White House has been celebrating Easter by opening up the South Lawn to the public for what is known as the White House Easter Egg Roll? 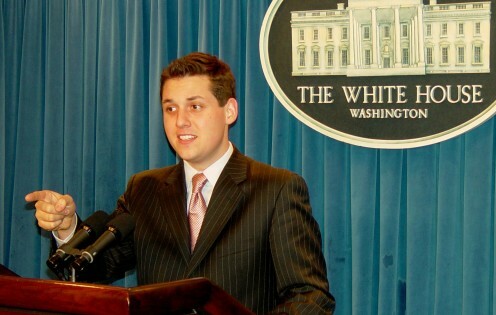 It is a special event that my oldest son Nathan got to enjoy when he served as a White House Intern way back in 2005. I took this photo of him in the Press Room of the West Wing when he took me on a tour of the White House. He was being silly, pretending to be the White House Press Secretary. That’s the actual podium used by the Press Secretary when press conferences are held at the White House. The opportunity to serve as a White House Intern was such an incredible experience, and is one that I would urge any young person interested in politics to apply for. Interestingly enough, few White House Interns actually have access to the the West Wing like Nathan did. He was one of only 2 interns at the time that worked for the Communications Department, and they worked in the Executive offices of President Bush. So Nathan had what seemed to me like unprecedented access to the White House, and I was lucky enough to get to visit him and get a behind the scenes tour. We walked the grounds of the White House freely, as though we lived there. It was just amazing! 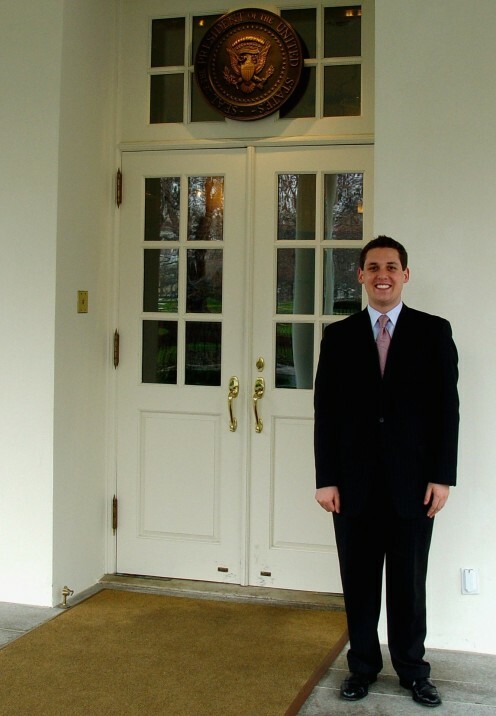 The photo below is Nathan standing in front of the entrance to the West Wing, doors you may have seen the President come through on TV. Tickets to the annual Easter Egg roll are issued by way of a lottery, but as a White House Intern, Nathan got to attend and help with the activities. As a result he got to take home some of the commemorative easter eggs, a program and other fun stuff that was given away that year. And like the good son that he is, he brought some of those goodies back to his mama. I put these cherished momentoes together in a shadow box which I have on display in my home. The White House Easter Egg Roll is one of the oldest and most unique traditions in presidential history. In fact, it is the White House’s largest public celebration. 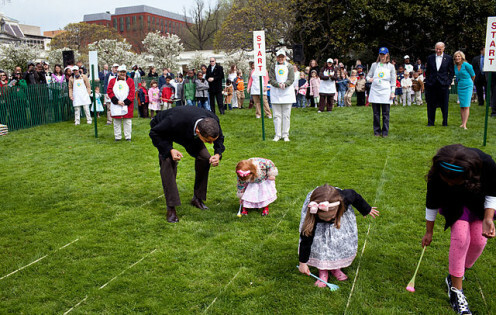 Rolling eggs on the Monday after Easter was a tradition observed by many Washington families, including those of the President. Some historians believe Dolley Madison first suggested the idea of a public egg roll, while others tell stories of informal egg-rolling parties at the White House dating back to President Lincoln’s day. Who knew?? I had never heard of this tradition until my son worked in the White House. Over the years the Egg Rolls have evolved and changed, adding different games and amusements that were popular at the time. In 1974 the most famous event, the egg-rolling race, was introduced, using spoons borrowed from the White House kitchen. Today it has evolved into an elaborate affair featuring bands, entertainers and cooking demonstrations. And from the beginning it has been customary for Presidents, First Ladies, their children, grandchildren and pets to attend the festivities. In recent years President Obama has been known to play basketball and other sports activities with the children in attendance. Below is a map of the festivities that will be happening this year. 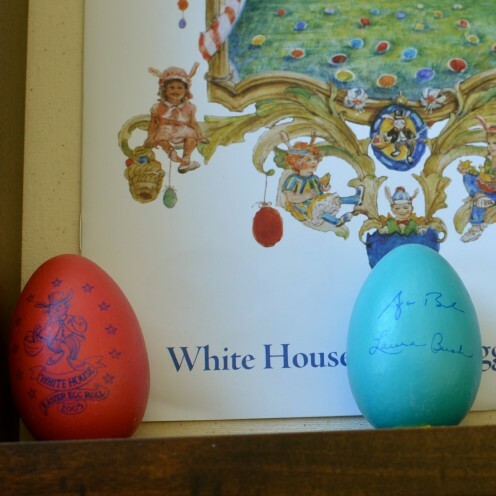 The tradition of using wooden eggs like mine first became part of the White House Easter Egg Roll in 1981, when President and Mrs. Ronald Reagan hosted a hunt for wooden eggs that bore the signatures of actors, actresses, famous politicians, and athletes. Mine have the signatures of George & Laura Bush. On Monday, March 28, 2016, the First Family will host the 138th annual White House Easter Egg Roll. 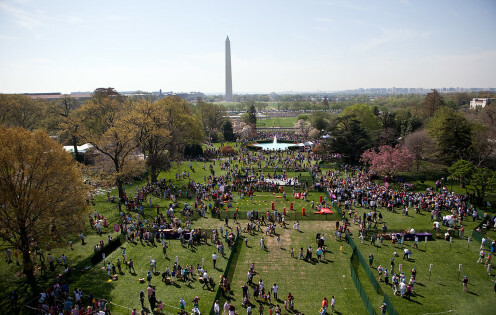 This year’s theme is “Let’s Celebrate!” and more than 35,000 people will be joining the First Family on the South Lawn for games, stories, and, of course, the traditional egg roll. 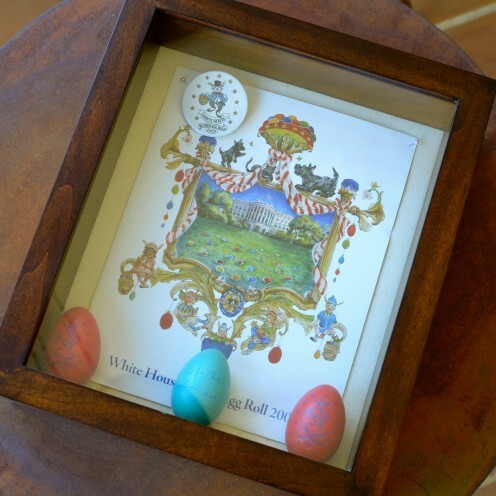 Each year, the National Park Foundation produces the souvenir wooden eggs that are used in the White House Egg Roll. 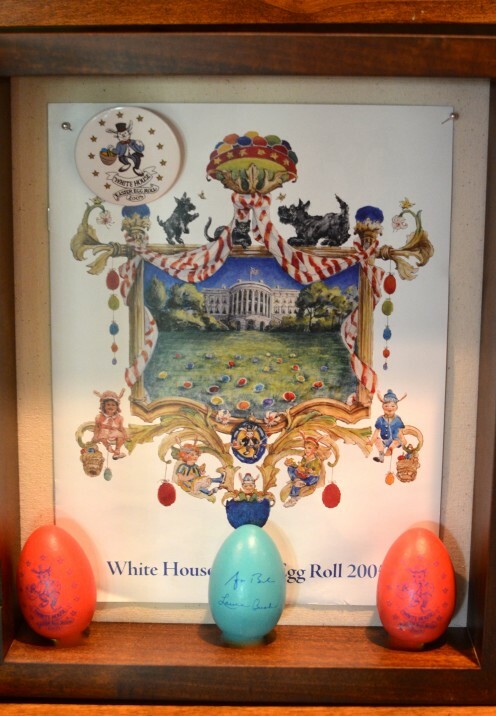 Each child 13 years and younger who attends the White House Easter Egg Roll will receive a souvenir egg. 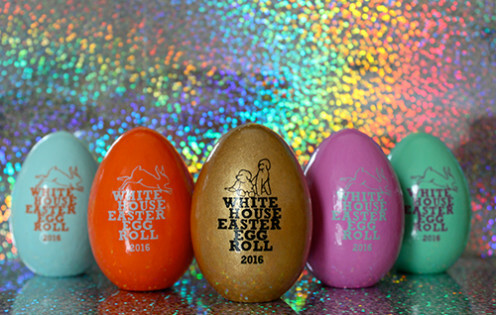 Free tickets for the Easter Egg Roll were made available via a lottery system on the Recreation.gov website from Feb 12th through Feb 17th, and unless you were one of the lucky 35,000 people to score a ticket, you won’t be getting a free Commemortive Easter Egg. 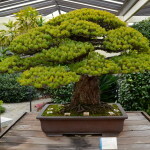 However, the eggs are also made available for purchase online at the National Park Foundation’s website and at the White House Historical Society’s Website. 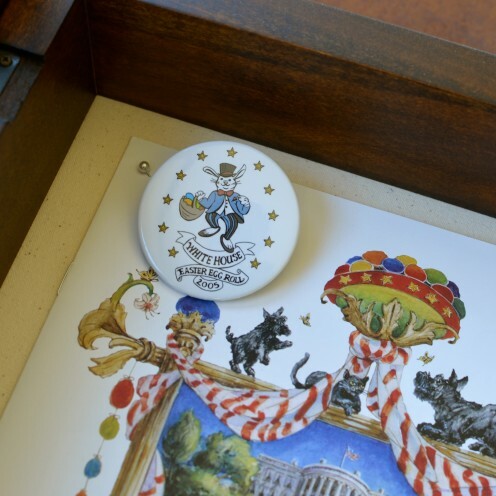 This year’s White House Easter Egg Roll features five souvenir eggs, designed by graphic designer and blogger Joy Cho. 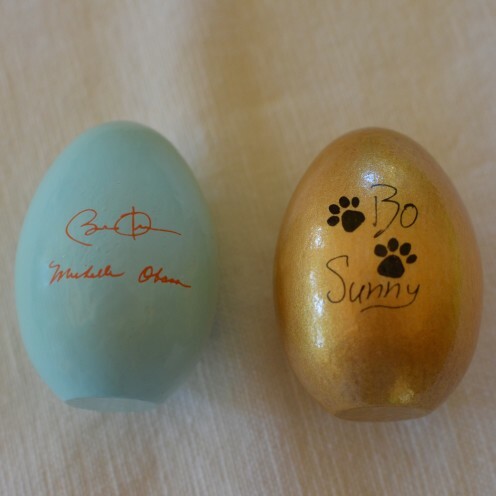 The collection features four colored eggs with stamped signatures of the President and First Lady on the back, and one gold “Bo and Sunny” egg, with stamped “signatures” and “paw prints” of Bo and Sunny on the back. The special Bo and Sunny golden egg is only available when you purchase the entire set of five eggs, which I did. 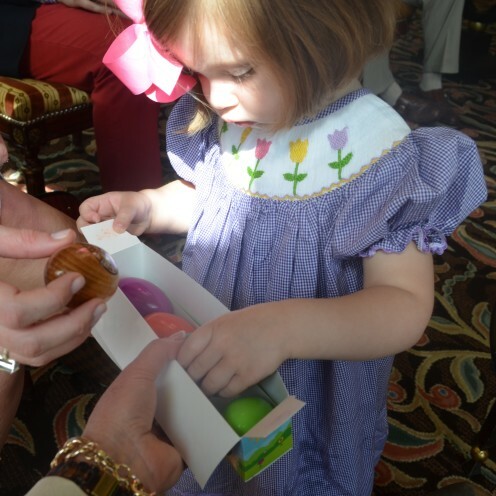 Since I so treasure the White House Easter Eggs given to me by my son, I decided to start a new family tradition and give my granddaughter Elle a set of them each Easter. Here she is with last year’s set. Don’t tell her but this year’s set will be part of the Easter Basket I’ve made for her this year. Stay tuned and in my next post I’ll show you how to make a beautiful custom Easter Basket. 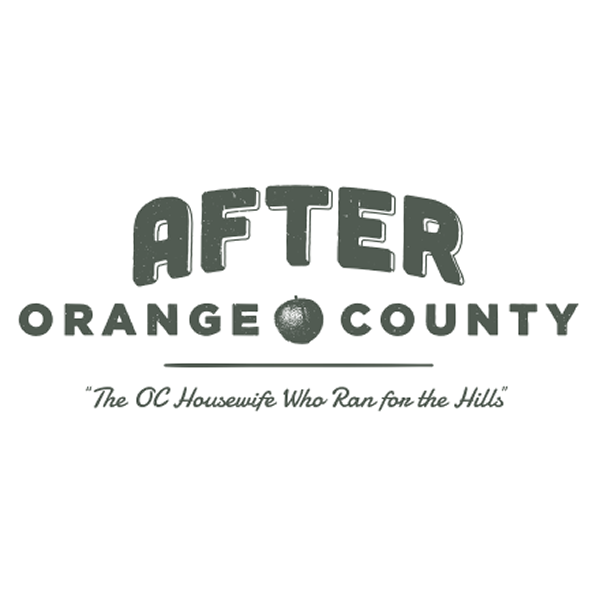 Unless otherwise credited, all photos are the original property of Celia Becker @ www.AfterOrangeCounty.com and may not be reproduced without specific permission.